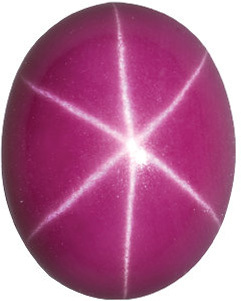 Imitation Ruby Pear Cut Stones Imitation Ruby Gemstones Display a Medium to Dark Pinkish Red Color. What does it say about you if your favorite color is red? In general, people who gravitate towards red will be confident and extroverted. 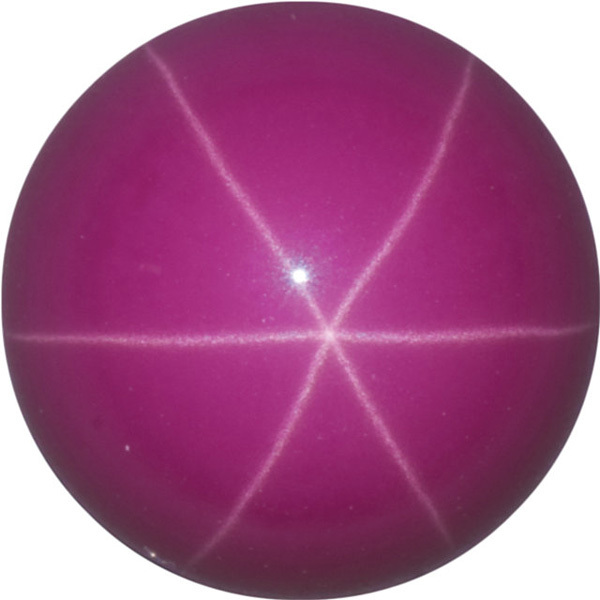 Red lovers are probably and energetic person who is ambitious and active. 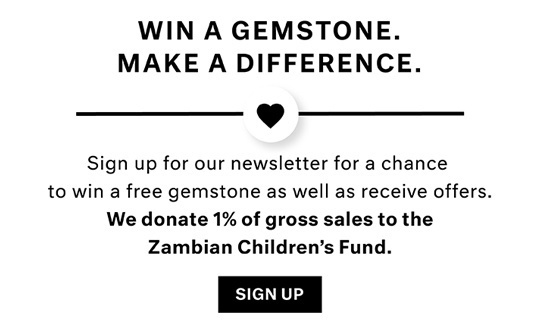 They pursue their dreams with passion and aren�t afraid to work hard. 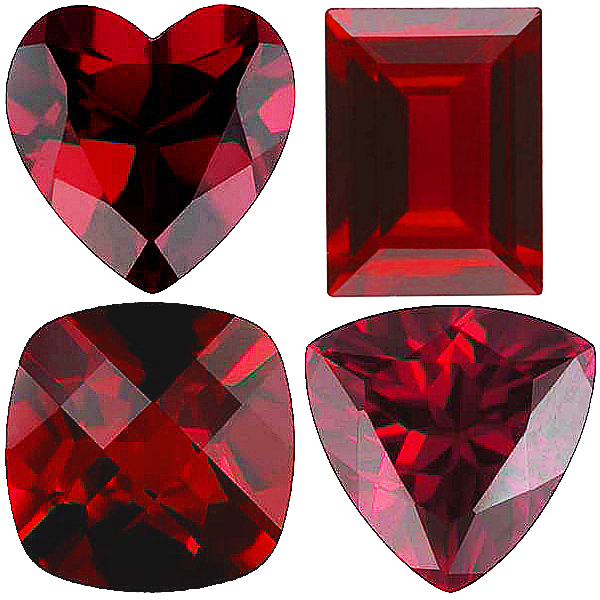 Chances are, if you�re drawn towards red colored gemstones, these descriptions might apply to you. 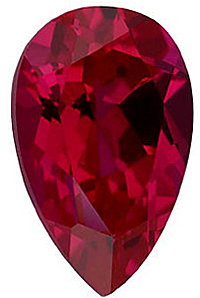 And if you�re an introverted, low energy, person with low self esteem and no ambition, guess what�you can still shop for imitation red gemstones! 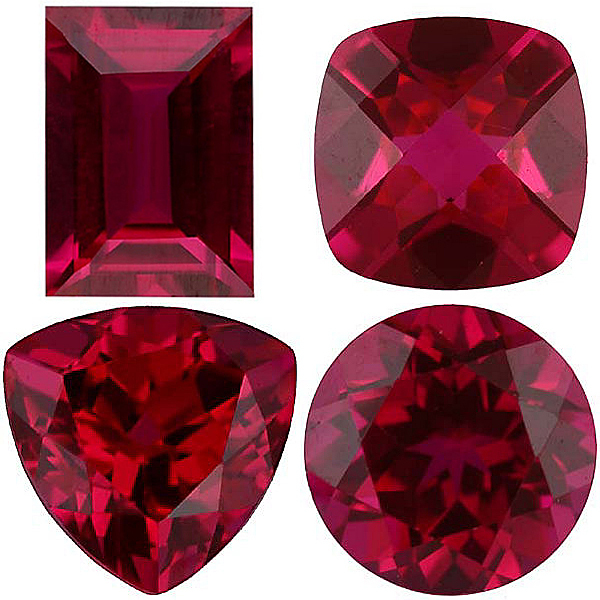 With Chatham Created Rubies on the higher valued side and imitation Rubies and Garnets on the other, AfricaGems has a great selection of non genuine Red gemstones, each with its own unique shade of the color red. 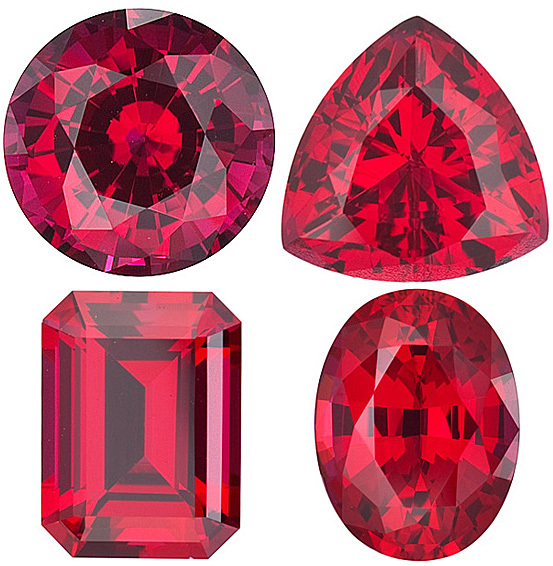 Red gemstones can be paired with any color of metal and they add a lovely pop of color to jewelry designs. We carry a variety of gemstone shapes in a range of calibrated sizes that will work with standard mountings for jewelry. Do You Love Accessorizing With The Color Red?